Justin Timberlake has returned with fifth album ‘Man Of The Woods’, announced with a teaser video that would have you believe is a heartfelt, introspective country record. unfortunately, only some of Timberlake’s latest album achieves that. The majority feels like cheap pop throwaways designed for quick chart success rather than long-lasting historic pieces of pop, the type that Timberlake has spent years trying to perfect. Before really going into the record we first have to look back, Timberlake has always been about reinvention, never afraid to challenge people’s perceptions of what a successful pop album should sound like. With debut record, ‘Justified’ Timberlake collaborated with The Neptunes (2000’s bonafide producing hitmakers Pharrell Williams and Chad Hugo) to create an album which has stood the test of time as one of the best pop records of the early 2000’s. Only problem being it’s a record that’s very stuck in its time, forever sounding dated and of its time. Of course it would have been easy for Justin to carry on his blueprint for chart success, instead he took a break and went away from recording for four years, label issues with Pharrell meant he’d have to turn to Timberland for his return to the scene with ‘FutureSex/LoveSounds’, a record that now nearly 12 years later still feels both fresh and exciting. the iconic record that mixed everything from R&B, Techno, Pop and Funk into one concise and groundbreaking project, containing a multitude of six-minute epics, interludes, and transitions. This was Timberlake defining himself no longer as a boyband member or actor, he was now successfully an artist. After achieving monumental success with his second album he decided yet again to turn his focus elsewhere, this time to the cinema with much less successful results. Seven years passed before Timberlake returned to the studio to create The 20/20 Experience, an ambitious double album released at the tail ends of 2013. Part 1 was a contemporary take on soul with a selection of 9-minute long progressive, jazz-infused pop tracks. This proved to be both a critical and commercial success. follow up ‘Part 2’ was a selection of outtakes that varied drastically in quality and direction. So five years later what direction Justin would return with was a mystery, suddenly a month prior to it’s release a video of Timberlake frolicking through wheat fields and swimming in rivers was released, promising in his own words “an album inspired by my family, but more so than any other album I’ve written… where I’m from” all placed to a building acoustic soundtrack. You only needed to listen to lead single ‘Filthy’ a few days later to understand how disingenuous that entire trailer was. Timberlake has crafted some of the finest material of his career when working with The Neptunes so it’s understandable they’d both turn to each other once again for success, however, the end results feel both dated and out of touch. Pharrell’s influence has had a jarring effect on the album Timberlake so clearly wants to make. Unfortunately, the majority of the poorest material is placed front and center of the album, starting from the very beginning. previously mentioned ’Filthy’ which is the single worst track of Timberlake career opens the album. A strong sense of identity crisis means it’s almost impossible to classify the single into any genre, a grand sweeping horn section opens the track before a selection of poorly cut beats and bass lines both confuse and irritate simultaneously. Not to mention the song manages to butcher Timberlake’s strongest asset his vocals. upon its release ‘Sexyback’ could almost be considered visionary and futuristic pop, ‘Filthy’ is a poor imitation and it’s polar opposite. That’s not to say when The Neptunes and Timberlake reunite they can’t recreate that magic ‘Midnight Summer Jam’ is a satisfying combination of soul and country, it feels like it would slip comfortably into ’20/20 Experience’ and features Pharrell’s slickest production on the record. ‘Sauce’ is an immature attempt to be seductive with awful lyricism, When Timberlake croons ‘I love your pink, you like my purple’ you can almost feel yourself cringe. not to mention the even worse backing track these words are placed over. This inconstancy continues for the first half of the album, title track ’Man Of The Woods’ feels like a Sesame Street parody filled with the deep ‘doo doo doo’ backing vocals and beats you’d expect to hear soundtracking a children’s tv show. ‘Higher Higher’ is another standout on the album, this time for all the good reasons. Pharrell has brilliantly layered Timberlake’s unique falsetto to the point where you feel like you’re listening to Justin duet with himself, also refreshingly the beats don’t overpower the vocals track, instead combining in unison, It’s a brilliant track and a genuine surprise. ‘Wave’ is a bland and forgettable attempt at Latin-infused country music which fails to excite and feels like an afterthought. ‘Supplies’ is the most straightforward pop single on the album and Timberlands presence is immediately felt, awful end of the world lyricism and the decision to excruciatingly extend the word supplies into a hook is a disappointment, however, a strong powerful bridge saves the track from mediocrity. Two guests appear on the record, first up is Alicia Keys who continues her fall from grace started on previous album ‘Here’ with another forgettable and mushy ballad. It’s strange to think that eight years ago a collaboration between both Timberlake and Keys would have seen the pair with the charts at their fingertips, now, however, it’s about as an exciting prospect as watching paint dry and the resulting track is somehow even worse. Following a very well received duet at the CMA’s Timberlake has managed to forge an unlikely friendship with country pioneer Chris Stapleton whose career has skyrocketed the past few years. Stapleton lends not just his voice but his songwriting prowess to the duet ‘Say Something’. It’s straightforward if not by the number pop-country track but even that in the talented hands of Stapleton can be something slightly more special. The pair harmonizes together excellently with Stapleton’s growl and Timberlake’s almost feminine falsetto counterbalancing, despite its vacuous lyrics the song is still a joy to listen to. 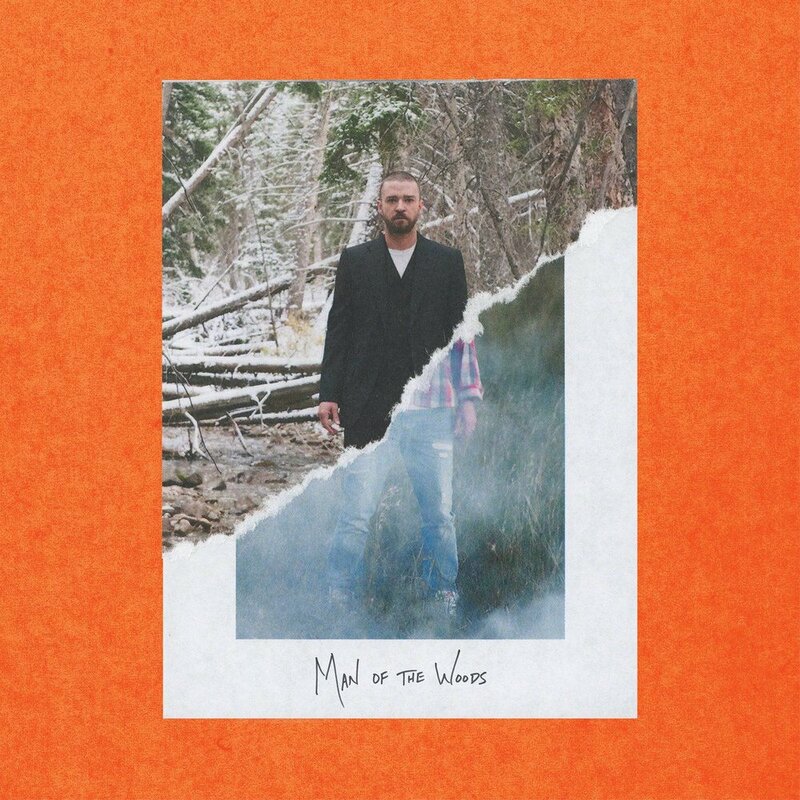 Suddenly the record takes an unexpected twist, the second half feels and sounds very much like the album Timberlake spoke about in that trailer, it’s where you’ll find the strongest material and folk-styled personal songs that it promised. starting with ‘Hers’ a slightly unsettling spoken word tribute to Timberlake, spoken of course by his own wife Jessica Biel. ‘Flannel’ is a partially stripped back, acoustic-based love song which comes as a welcome departure to the bombardment of bass and beats that plagued the first half. Timberlake really hits the higher end of his vocal range on this touching track, the last 90 seconds of ‘Flannel’ however inexplicably turn into a displeasing soundscape. It goes from soft pop ballad to a messy attempt at what could be considered psychedelia. ‘Montana’ is another slick soul track which combines the best aspects of a Timberlake track; a solid pop hook, fantastic bridge and letting Timberlake really stretch and work his falsetto. ‘Breeze Off The Pond’ continues the upward trend on the albums back half, the selection of slightly longer pop tracks with an enhanced emphasis on lyrics and placing more subtlety on its production is a winning formula that should have been utilized a lot sooner. ‘Living Off The Land’, ‘The Hard Stuff’ and ‘Young Man’ all continue this trend making for a satisfying and much-improved finish to the album. they’re a solid selection of ballads but unfortunately lack enough emotional impact to be memorable, all unintentionally blending into one elongated finale. It can’t be understated how impressive Timberlake’s vocals are and when blended with live instrumentals like on ’20/20’ the result is incredible. This albums reliance on 808’s and it’s messy production is it’s undoing, however. Early on in the album cycle, I saw many publications heralding this album as Justin Timberlake ‘turns Bon Iver’ but the truth is, Justin Vernon would never make an album this sloppy.